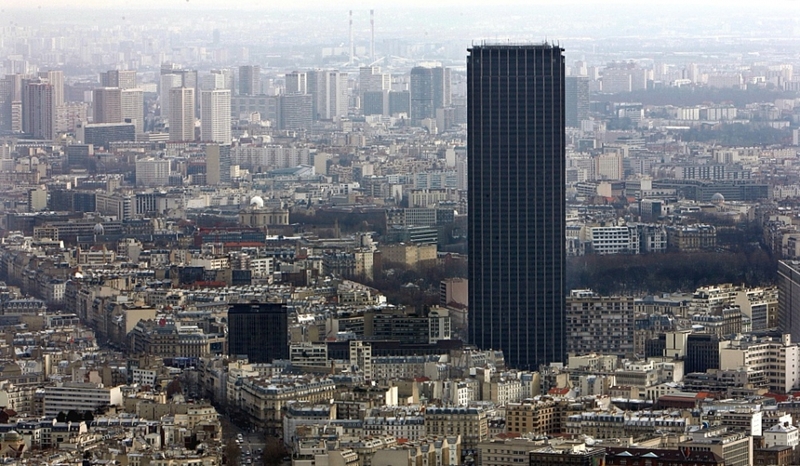 In 1972, Paris approved a hulking 690-foot skyscraper that dwarfed the rest of the city and looked like it was designed by Darth Vader on the back of a cocktail napkin. It’s no wonder it’s taken the city 42 years to give tall buildings another shot. In fact, the city ended up banning tall buildings in the city center altogether after the 1970s—it’s taken a long time to get a design approved since it lifted. Today, the city OK’d a skyscraper it originally rejected last year and that some would say bears a resemblance to the 1973 tower: It’s very wide, it’s very tall, and it’s very monumental. It’s also designed by some of the best architects alive today, and we should give them the benefit of the doubt. Now, that’s some remarkable spin. But it’s worth pointing out that beyond the politics and PR antics of this fight, the designers of this building are two of the most capable architects around today. The Triangle is the work of two 65-year-old Swiss architects named Jacques Herzog and Pierre de Meuron, who together have spent the past 37 years building up a sprawling and frequently amazing portfolio of work as Herzog & de Meuron. They’re known for building architecture that’s completely unique to its time and place, and for not shying away from radical, monumental formalism (which certainly fits with that giant wedge of cheese). Or what about 1111 Lincoln Road, a goddamn parking lot designed by Herzog & de Meuron that has since become a wildly popular event space for weddings, parties, and more? Herzog & de Meuron are some of a small minority of contemporary architects who have managed to avoid “genre” design—or the phenomenon in which clients ask an architect to design a building that looks like one of their past hits, eventually forcing the designer to conform to a narrow definition of their work. All of these buildings are different, and unique to their sites, and even if you hate them, they’re designed with an incredible amount of care. 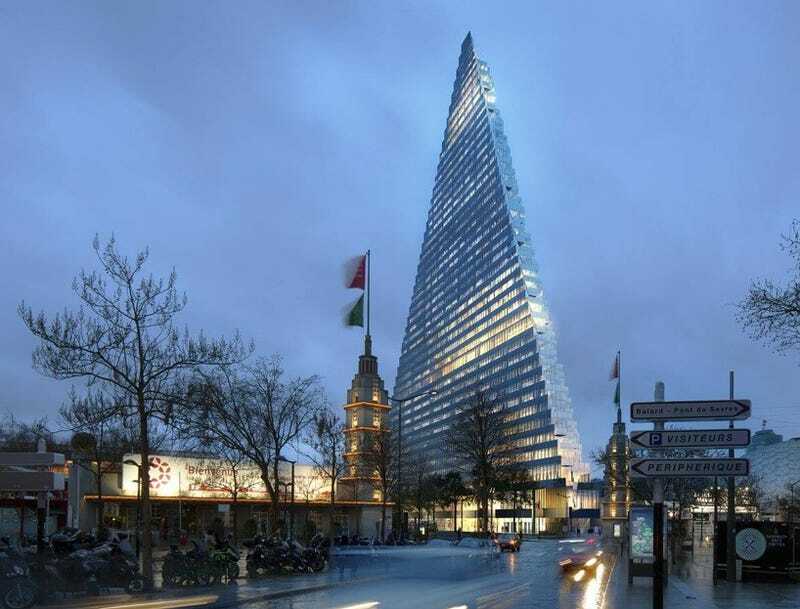 So even if Paris is getting a building that looks like it could be a disaster from the renderings—which some claim the Triangle will be—it’s being built by architects who have a stellar track record of turning strange, tension-filled projects with tons of constricting circumstances into truly awesome architecture.